IBM MobileFirst for iOS Rapid Board lets customer service agents expedite boarding by scanning all boarding pass formats from anywhere in the airport. 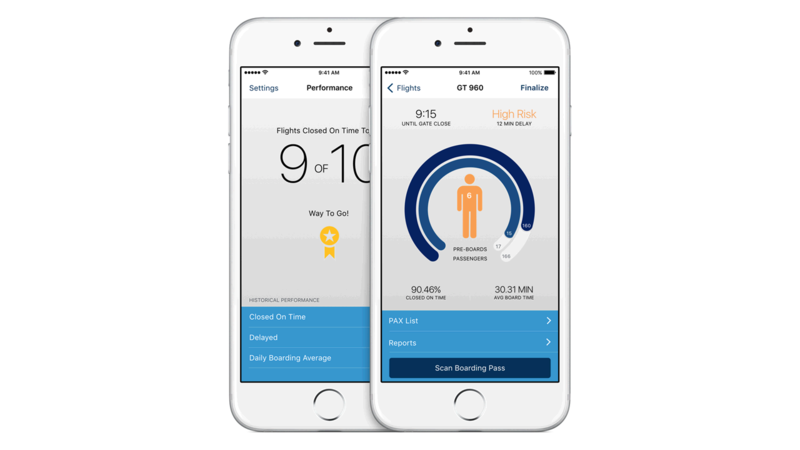 IBM MobileFirst for iOS Rapid Board enables customer service agents to expedite the passenger boarding process by scanning all boarding pass formats from anywhere in the airport. The app provides a mobile solution so airlines are not dependent on bulky, fixed-location kiosks or electricity to board passengers. Rapid Board gives customer service agents the flexibility to scan any type of boarding pass from any gate – so they can provide a faster, more convenient boarding process and a better customer experience – while avoiding delays. The app resolves the issue of airlines that do not own the gates from which they operate. Customer service agents can see flight summary and time left to gate close. They can also view details of passenger needs, such as needing an exit row, traveling with infant or wheelchair assistance. At peak travel times, Rapid Board lets you use multiple agents to board the same flight. Rapid Board features powerful analytics that can help calculate risk for delay and track boarding duration. It can identify patterns of inefficiency and indicate ways to improve in the future. Using the built-in camera, Rapid Boards allows agents to scan any type of paper or digital boarding pass – including passes on Apple Watch.